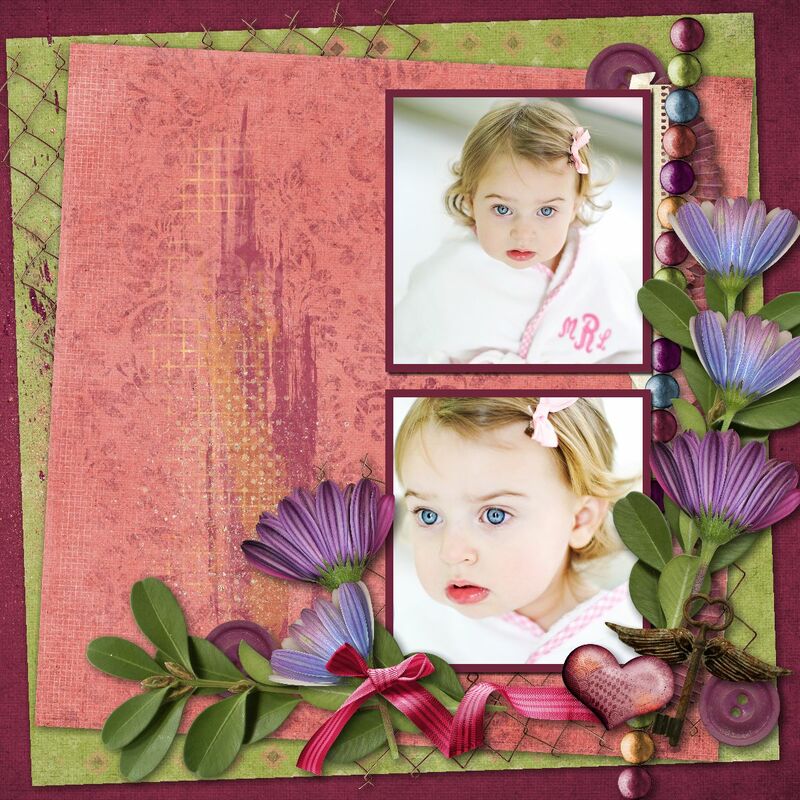 Here’s another layout using the sun ray tutorial Sharon Horswill made. You can find it here. I used a mini kit called Hawaii by Albums 2 Remember. 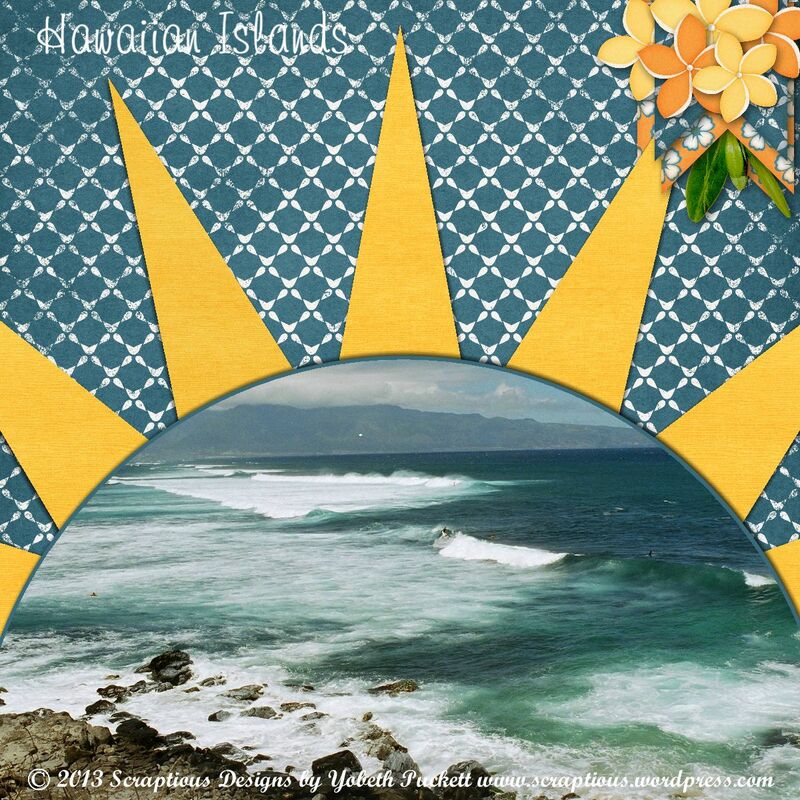 This entry was posted in Challenges, DigiScrappingDivas, MyMemories, Tutorials on April 12, 2013 by Yobeth. 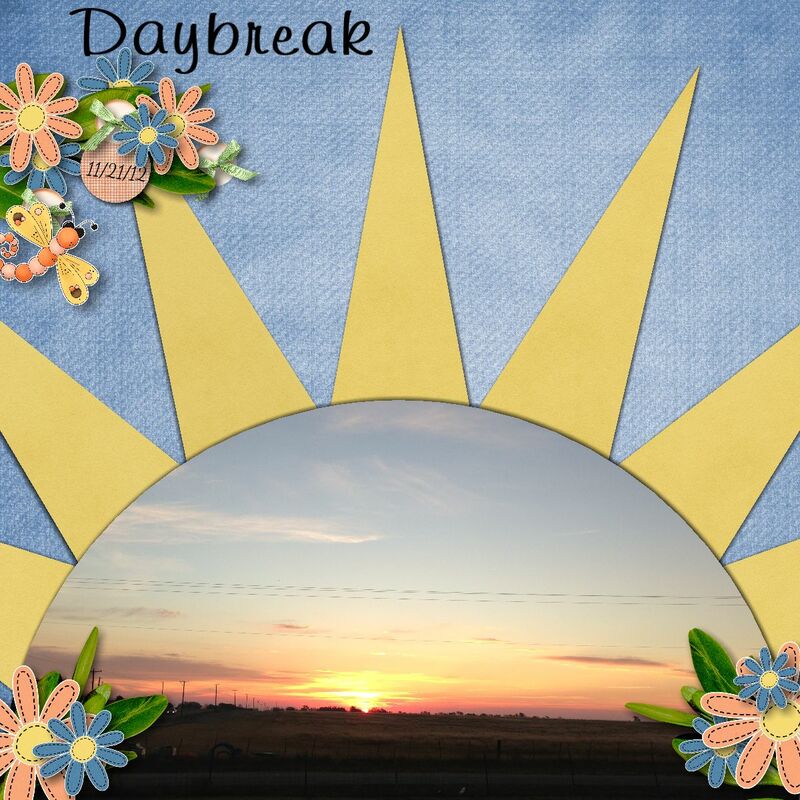 This entry was posted in Challenges, DigiScrappingDivas, MyMemories on April 8, 2013 by Yobeth. This is my first freebie made exclusively by me. I know it’s pretty simple but I love it and I hope you will too. Clicking on the sample will take you to Mediafire for the download. 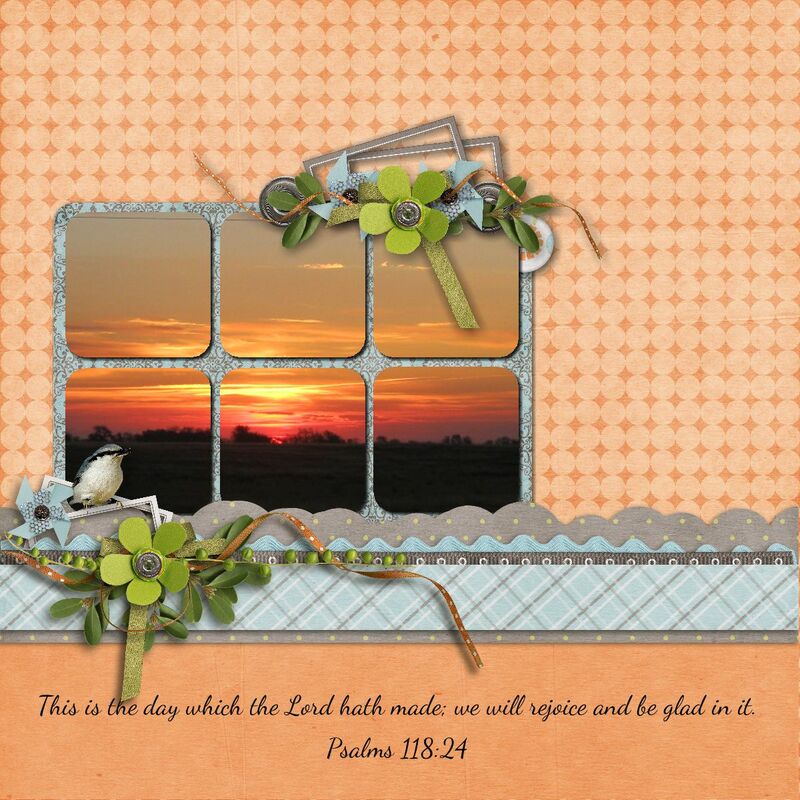 This entry was posted in Family, Freebie on April 6, 2013 by Yobeth. Some of the best photos, paintings and layouts are composed using a guideline called the rule of thirds. 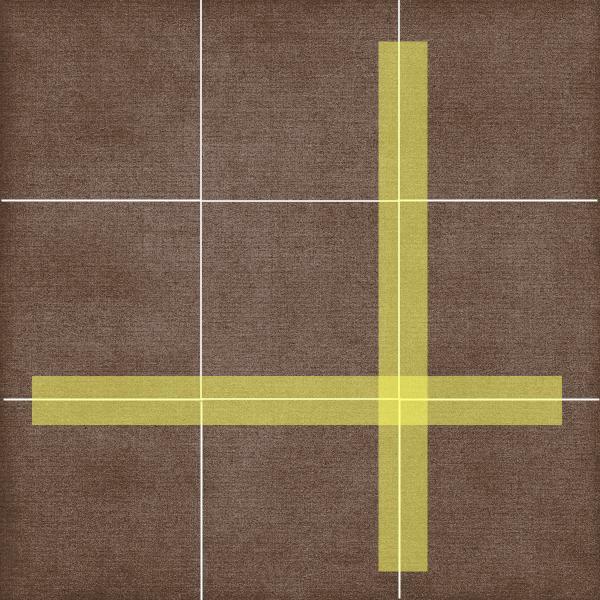 Basically, you divide your “canvas” into equal parts horizontally and vertically. Then you place your focal point along the lines dividing you composition, as in the illustration below. If you were taking a picture of a landscape you might place the horizon along the lower horizontal line. This will result in a more interesting composition than if you placed it smack dab in the middle of the page. In the layout below you’ll notice this principle is used twice. In the sunrise photo the horizon is placed on the imagined lower third and the photo as the focal point is centered vertically on the left third and the blue/grey elements & base of the photo are in the lower third. The next two layouts use the rule of thirds again. In addition, you may notice I cluster elements in a way to maximize flow. I want to lead your eyes around the page while drawing attention to the focal point. More about that in a future article. Credits: Thirds layout made in Memory Mixer using Kimeric Kreations/Denim & Lace. 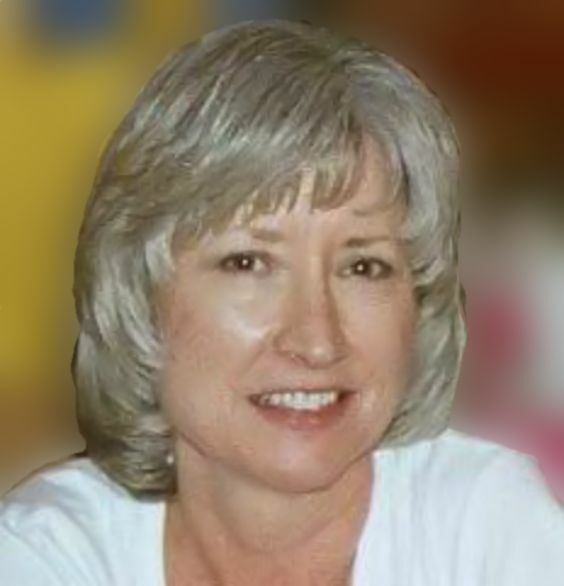 This entry was posted in Article, Design Principle, Designer Spotlight, Memory Mixer, MyMemories, Techniques, Tip on April 3, 2013 by Yobeth. I’m doing research about how designers put together their creative teams. 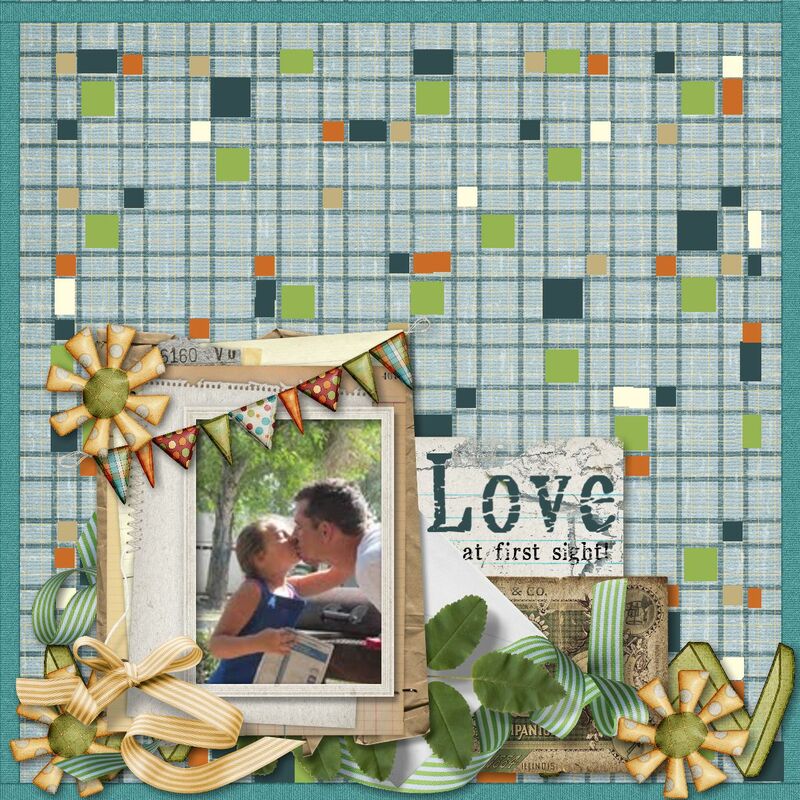 If you design digital scrapbooking kits and you use a creative team I’d love to have your input. It’s a short survey and shouldn’t take more than a few minutes. You can find it here. I hope to write another article on CT’s from the designer’s perspective so I covet your input and want to thank you in advance. This entry was posted in Survey on April 1, 2013 by Yobeth.